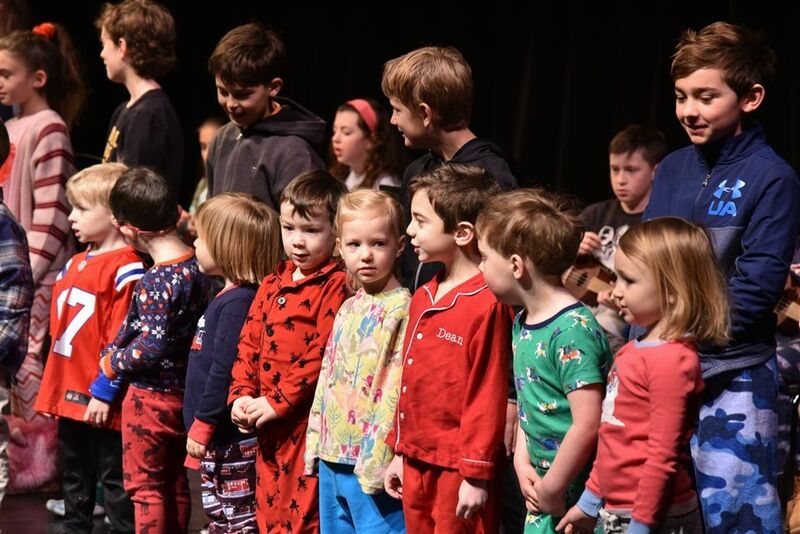 Fourth grade students wanted to do something special to mark the conclusion of Shore's Great Kindness Challenge week on February 1, and they enlisted the help of Lower School music teacher Alex Asacker to plan a "Kindness Concert" with Pre-K buddies. 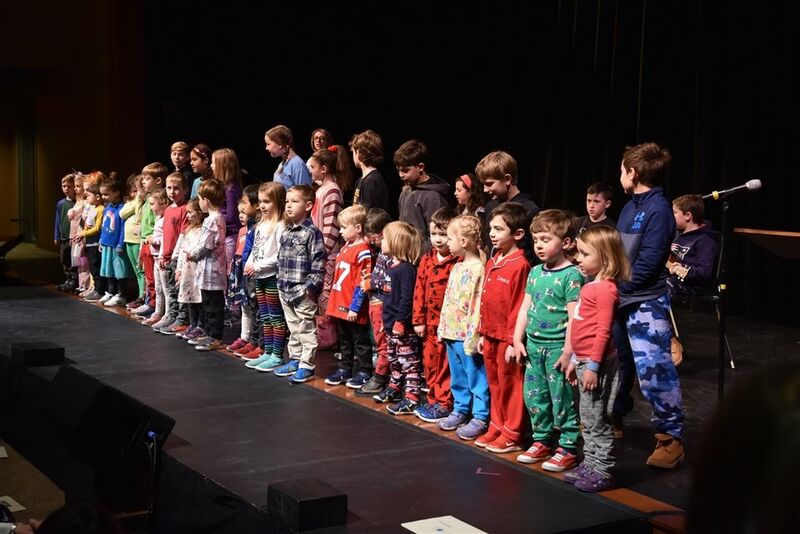 The fourth graders taught the young performers three kindness-themed songs, including one original tune, and for several weeks leading up to the concert rehearsed singing and dancing together, with Grade 4 students providing ukulele accompaniment. 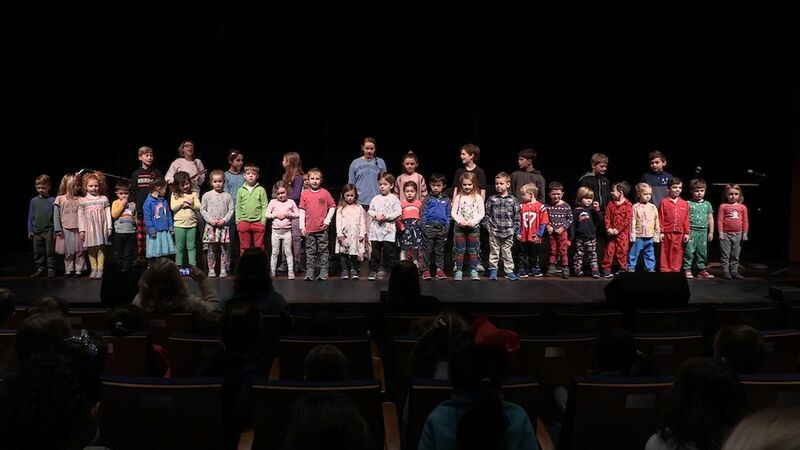 On the day of the performance, fourth graders explained their musical project and entertained the Lower School audience. "We enjoyed teaching the songs and had tons of fun," said Isabella Gould and Sophia Bonacorso. "We worked as a class to learn and teach all the songs," added Max Karlyn. Francesca Carter said, "The Pre-K'ers are funny and nice, and they made this a great time. It was great getting to be kind of a big sister." Still, admitted Lauren Tavares, "I learned it's a lot harder than it looks to teach a song." Concluding the concert, Sophie Leidner told listeners, "I hope you enjoyed our concert—I know we did. We hope this can become a new tradition at Shore!" See more photos from Great Kindness Challenge week below.